BOAT CLUB COVE! BREATHTAKING VIEWS. SPACIOUS 5 BEDROOM WITH 3.5 BATHS AND 4235 SQ FT INCLUDING SUN ROOM. GREAT ROOM W/ SOARING CATHEDRAL CEILINGS, FLOOR TO CEILINGS MASONRY FP, WOOD FLOORS, DINING AREA AND LOTS OF FRENCH DOORS LEADING TO SUN ROOM WITH WALLS OF WINDOWS LOOKING AT LAKE. KITCHEN W/ LOTS OF CABINETS AND COUNTER SPACE. UPPER LEVEL LOFT AREA WITH BEDROOM AND HALF BATH. LOWER LEVEL FEATURES FULL KITCHENETTE, GREAT ROOM WITH FP, 2 BEDROOMS W/ FULL BATH AND COVERED PATIO. Directions: River Rd North To Left On Lickskillet, Left On Martin Rd, Martin To Right On Old Brawney Rd, Right On Kelly Drive. Feature Name: Double Boathouse With Lifts, Stationary Dock With Built In Seating. 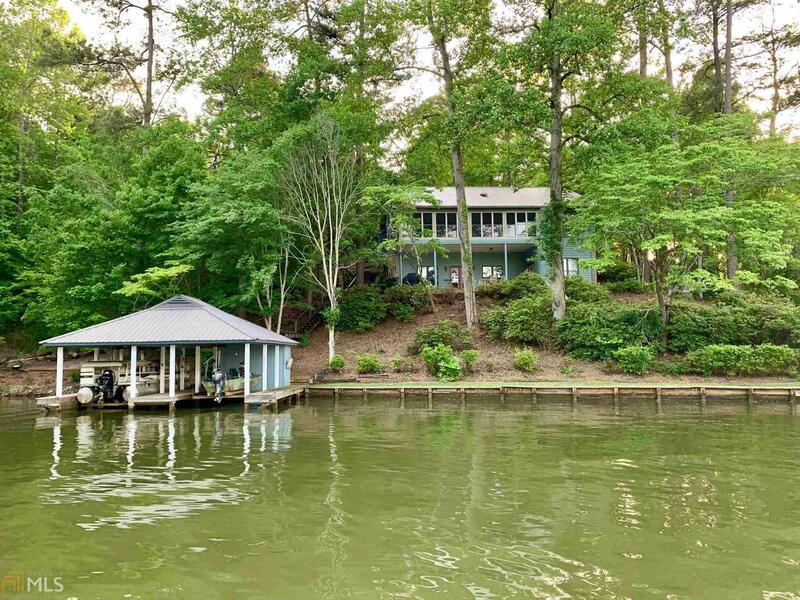 Located In Desirable Boat Club Cove.